God is present is everything we do on earth, we are never alone, he is the director of every nation, the foundation of every kingdom both past, present, and future. He is God over all, all things on earth, human and creatures alike are his. We may not choose to believe God is watching over our affairs, nor that he is deeply involved in our lives. To the contrary God is ever present in our lives and the affairs of the world. Behind the scene he is directing the world for the benefit of his people. Those of us who have received his love are hidden from the dangers lurking in the dark. Every hair on our heads are numbered, he knows the name of each one on our heads, and promise that we will never fall to the ground without his notice. At one point in life we may have believed that the evil one was capable of bringing against us evil, that he was able to perform and overcome the will of God in our lives, but from what we have seen, and heard from the word of God, God is in control, all things are under his power and might, and will act only within the bounds he has allowed them to act. Jesus is the ruler over dominions, principalities, and powers, all things are under his control and power and they obey him. Satan know he cannot act outside the will of God, for all things were made by God, for God, and for the glory of God. When we fall, wait on the Lord for he will lift us up, our fall is for his glory. When things get us down, let us lift up our heads, for the Creator of the universe is watching over our lives and will not suffer us arm. He that dwells in the secret place of the most High shall abide under the shadow of the Almighty. 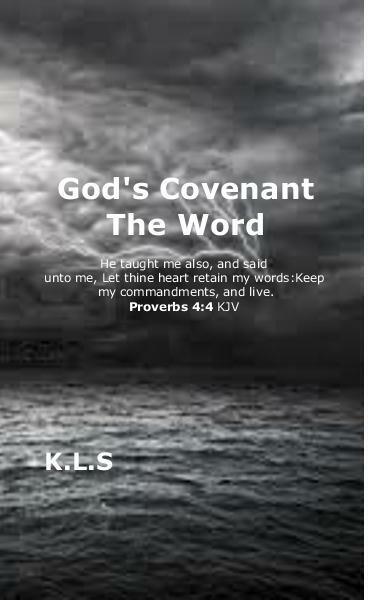 (Psalms 91:1 KJV) This is a promise we have form the Lord that we might prosper in the land of the living.